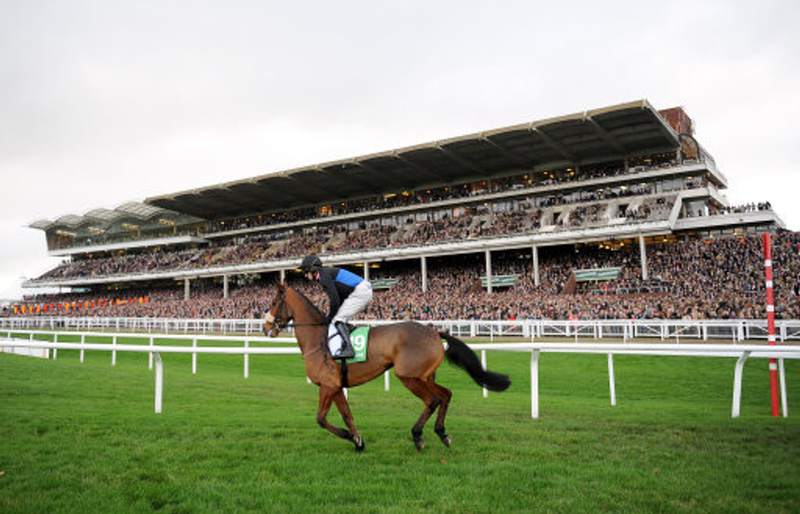 The Albert Bartlett Novices’ Hurdle is the feature on the card at Cheltenham on Saturday. The race is run over two-miles and seven-furlongs. This class 1, grade 2 contest is made up of 12 runners. This is a guide to all 12 of the runners in the race. Won nicely last time in class 2 company at Ascot. Comes from a powerful yard, and gets a top jockey on board, who has won on this gelding in the past. Question marks whether he can last this extended trip, but Henderson is usually effective at picking races, and this 5-year-old has an excellent chance under top weight. Stepped back into class 4 company of late and has worked well. Won last time out at Kelso at a huge odds-on shot. Before that was beaten odds on against a progressive sort at Aintree. This is a horse who tries his best and is primed to deliver a good run again. Has run well at this track, in this grade in the past, most noticeably in the Ballymore Classic in January. Live chance. Ran a good race in second last time in a class 4 handicap at Chepstow last Saturday. Will stay on every yard of this trip and was unlucky to just be held last time out. The ground could be of concern for this Twiston-Davies runner, though, as he would prefer soft to heavy ground. If the rain comes, he’s one to keep an eye on. Won handsomely last time at Lingfield in a class 4 event. That was over just two-miles though, but this gelding looks like he won’t mind the step up in trip. Has run well at Cheltenham in the past, coming fourth in a bumper in October. Will be able to handle the good ground, but connections will probably be hoping for some rain. Interesting runner. Won on debut for this powerful yard at Hereford at the end of November. Ran over 3-mile one-furlong that day, on good to soft, so this gelding is sure to stay every yard of this trip. That was in a class 4 handicap, so this 5-year-old will need to keep progressing to be able to see off some of these. Nicholls yard in good form, so must enter calculations. Came fifth at huge odds last time out at Newbury over a slightly lesser trip than this. Did stay on that day, so this 6-year-old won’t mind the extra three-furlongs here. This runner has only ever run on soft ground though, so unlikely that the good ground that is expected at Cheltenham on Saturday will suit. Running well. Won a point to point in Ireland, before joining this yard. Since joining Curtis, he has placed in both of his starts. Came third in a bumper at Chepstow on good to soft, and second in a class 4 hurdle at Ffos Las latest. Will need to improve a lot to be able to trouble the market principles in this but may come on for the step up in trip and better ground. Stayed on last time at Newcastle in a class 4 over just two-miles. Looks like he will appreciate the move up in trip, as last time was a bit too sharp for him. Will probably prefer the better ground on show on Saturday. Will need a huge improvement to win this, but if he enjoys the longer trip, may have a part to play. Struggled last time, as he weakened away on soft ground. Does prefer good ground, which he won on at Chepstow early October. That was a class 4 contest, over two-miles, but won handily on that occasion. Looks up against it here but will enjoy conditions and a good run isn’t out of the question. Desperately unlucky not to win last time. Travelled very well and was closing with every stride at the finish but was marginally held. That was on soft ground at Newbury, over 3-miles, so this 5-year-old is certain to last every yard. The ground won’t be a problem, as this Tizzard runner has acted on good ground in the past. Any rain is a positive. Good chance. Won a class 4 event at Southwell in his most recent outing over the same trip and conditions. From a powerful yard, who are in great form. Stayed on well last time to win handily, so will last the trip. Was behind rival Rocco at Chepstow in October but looks likely to turn the tables on that defeat. Looks to hold a very good chance if this gelding keeps progressing. Was a remote second last time out at Fakenham. Didn’t last the trip that is three-furlongs less than today, but that was on good to soft ground, so the good ground could be a positive for this Dickin runner. Although failing to land a blow, this gelding usually runs his race and although a good run is unlikely, a placed effort wouldn’t be that surprising.